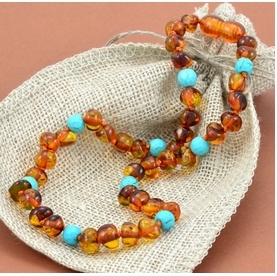 Amber Teething Necklaces. Pain & Anxiety Natural Relief‎. 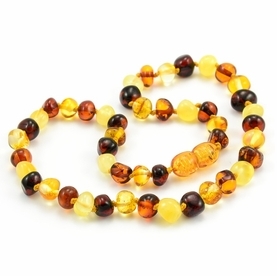 This Amber Teething Necklace is made from the highest quality polished and raw cognac Baltic Amber beads by Lithuanian amber experts. Length: approx. 13 inches (33 cm.) long. Amber Necklaces and bracelets are made to wear but not to chew! Teething jewelry should be removed when child is sleeping or unattended! 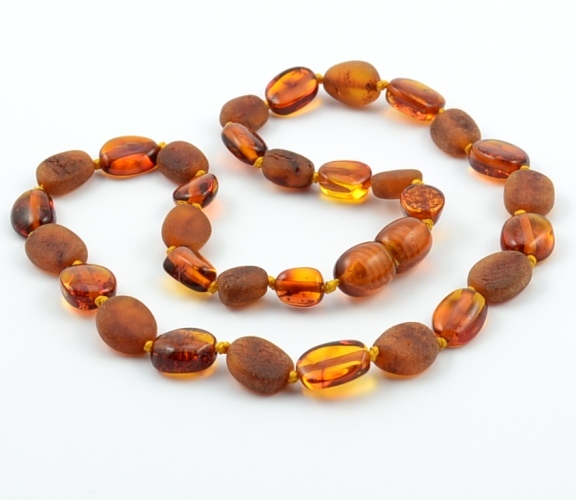 Learn more about Amber Teething Necklaces . 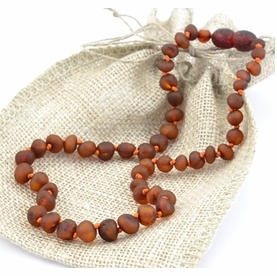 The string in each of our Baltic amber teething necklaces and bracelets is knotted by hand in betweeneach and every bead , so should the necklace break (which it should if necessary), the rest of the beads will not scatter. The necklace fastens with a Screw Clasp that opens and closes easily and naturally. *Place Amber Necklace on the child against their skin, as the jewellery is for wearing only. 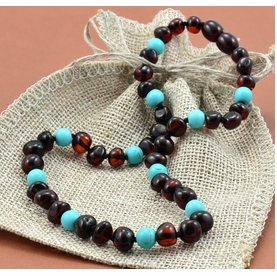 What is an Amber Teething Necklace . 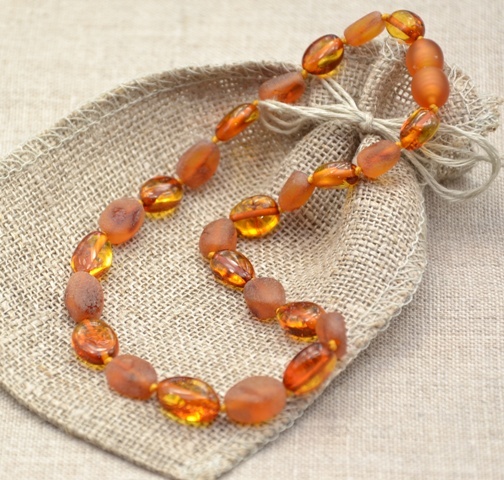 Amber Teething Necklace Safety Information and Advice. Please supervise your child at all times while wearing the necklace. Amber necklaces are made for wearing not for chewing! Amber will crack and break under too much pressure. Teething jewelry should be removed when child is sleeping or unattended! We (Amber artisans) assume no responsibility if any harm should come to the child due to misuse of our products. Amber artisans or any other parties involved in creating, producing, manufacturing or services provided on this site shall not be liable for any direct or indirect, consequential, incidental, punitive, special or otherwise damages arising out of access or use of this site and its products.